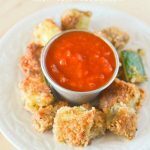 Crispy Baked Zucchini Fries that are crispy and just as good dunked in some organic ketchup or homemade marinara sauce. Make zucchini fries baked over frying and you’ll have a tasty side dish without tons of oil. 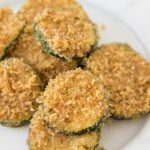 Oven baked zucchini fries are easy to make and you could even make this as air fryer zucchini fries! This zucchini recipe is super versatile and can be easily made into baked zucchini sticks or even baked zucchini chips. We’ve even done this as baked zucchini slices and then roll up with some ricotta and cover with fresh mozzarella and tomato sauce, baked, and you have a delicious meal. Want to know more about zucchini? Read all about zucchini here. Zucchini is a healthy option for kids over regular potato fries. They’re just as good, and kids will gobble them up. 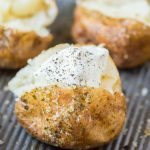 For kids serve them along with some turkey baked meatballs or homemade chicken nuggets. 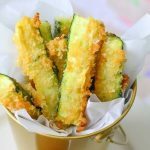 If you don’t like zucchini fries baked follow the recipe and make them into fried zucchini fries. If you’re going to fry them, we do recommend using coconut oil instead. Be sure to use a refined virgin coconut oil if you prefer it without a coconut flavor. I myself prefer not to taste coconut in anything so I used the refined coconut oil, whereas my wife Courtney can eat the virgin coconut oil without an issue. It’s really a personal preference. Some people may not even notice, but I can notice right away, even in the most flavorful food. Don’t get me wrong, I love coconut, but I prefer my food that shouldn’t taste like a coconut not taste like a coconut. For my palate, it’s very overpowering and I prefer to enjoy the other flavors. Another great option is our eggplant parmesan recipe and zucchini bites. If you really love zucchini you’ll love this vegetarian penne pasta recipe! They’re great dipped in marinara too. 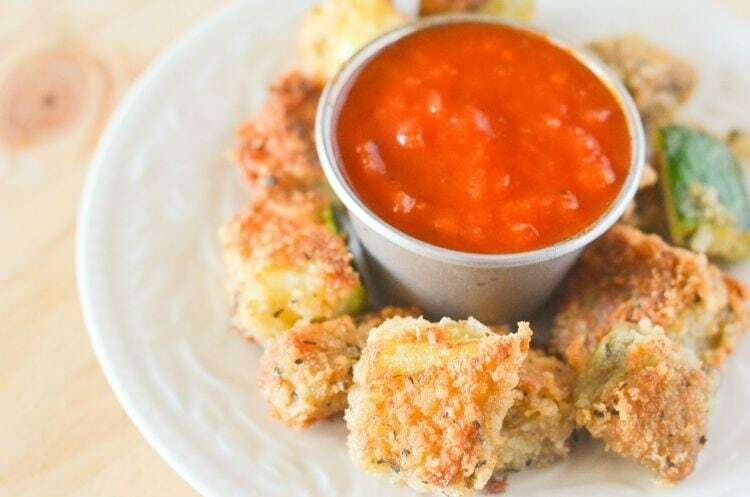 In fact, you could even dip the zucchini fries into marinara sauce. When Courtney made these we gobbled them up before they even had a chance to really cool off. They’re that good. Now for the baked zucchini fries recipe, we really hope you enjoy. Let us know if you try it by tagging us on social #knowyourproduce with a photo! WATCH OUR VIDEO on how to make them! 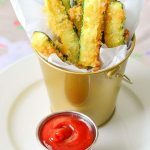 Crispy Baked Zucchini Fries that are crispy and just as good dunked in some organic ketchup or homemade marinara sauce. 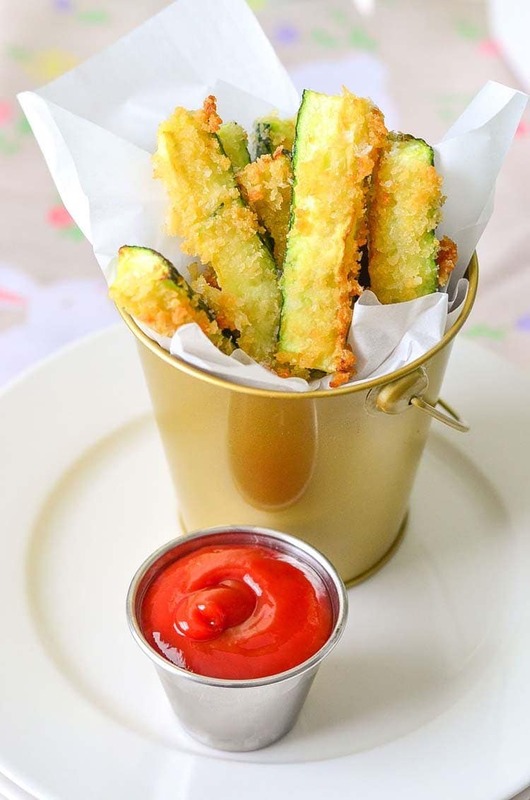 Make zucchini fries baked over frying and you'll have a tasty side dish without tons of oil. 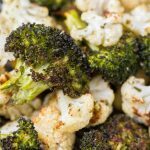 Oven baked zucchini fries are easy to make and you could even make this as air fryer zucchini fries! Chop zucchini in half and then into wedges/fries. In a bowl mix the bread crumbs, salt, and garlic. 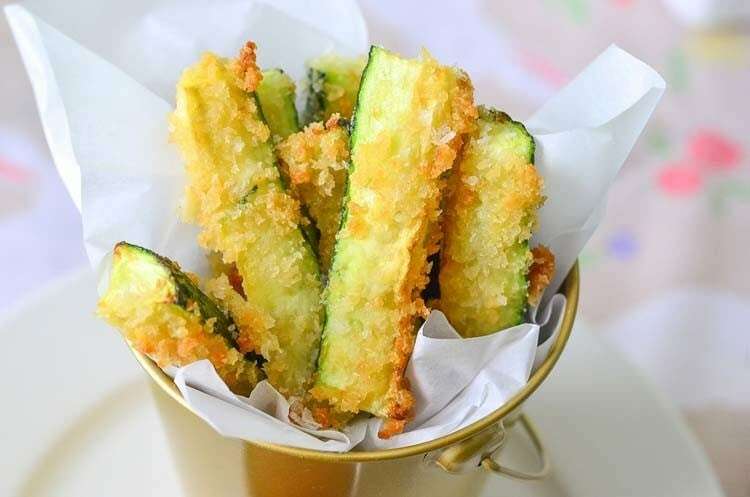 Beat eggs and dip zucchini into eggs and then into the breading mixture. 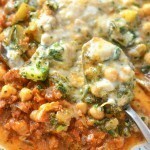 Place zucchini onto a cookie sheet with wire rack to allow it to cook from all sides. 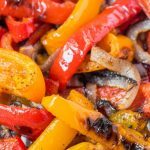 Spray lightly using melted coconut oil or olive oil. Bake for 10-15 minutes to allow zucchini to fully cook and get crispy. So sorry you had an issue! These look SOOOOO GOOD! Can’t wait to faceplant into a tray!